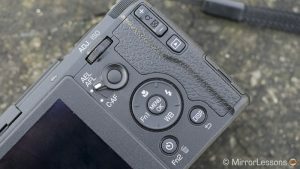 When we tested the Ricoh GR II back in 2016, it immediately rose to the top of our list of favourite compact cameras. The 16MP APS-C sensor combined with its 18.3mm fixed lens produced some of the sharpest images we’ve ever seen from a compact and the wonderful B&W profiles, with their deep blacks, punchy contrast and film-like grain, encouraged us to use the straight-out-of-camera JPGs more than any other model we’d tried up until then. 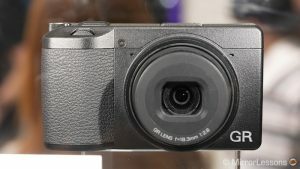 Now, just over three years on from the release of its predecessor, the Ricoh GR III is set to hit the market with a number of new features that should certainly tempt many current GR users to at least consider upgrading. Curious to find out more about the main differences between the two models? Then keep on reading! 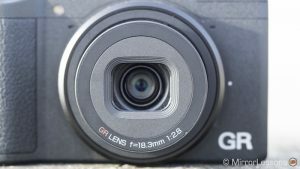 Note: this article was first published in October 2018 when the GR III was still under development. We have now updated it following the release of the GR III full specifications in February 2019. Ethics statement: the following is based on the official press release and specifications unless otherwise stated and our direct experience with the Ricoh GR II. Within the article, there are affiliate links. If you buy something after clicking one of these links, we will receive a small commission. To know more about our ethics, you can visit our full disclosure page. Thank you! The first difference concerns the APS-C sensors housed inside the two cameras. 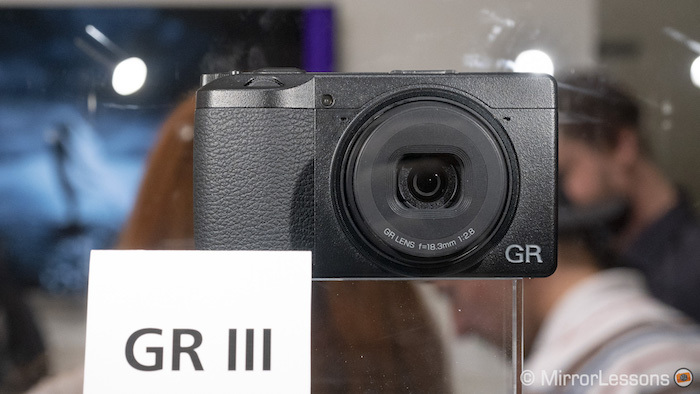 Along with having an updated chip with more resolution (24.2MP vs 16.2MP to be precise) and a new imaging processor, the GR III also gains on-sensor phase detection and sensor-shift image stabilisation, both of which we’ll talk about more below. The previous model, by comparison, uses a contrast detection system and lacks stabilisation at the sensor level. Something else we see from the new model is an extended ISO range that goes from 100 to 102400. 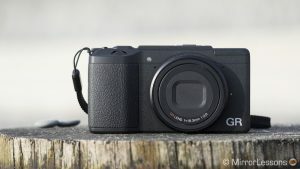 This means that the range goes 2 stops beyond the GR II’s highest value of 25600. Another specification that has been confirmed is 14-bit RAW option (DNG), which is an improvement over the 12-bit option on the GR II. Unlike the GR II, the mark III model can use ultrasonic vibrations to shake off dust from the sensor. Although the fixed 28mm equivalent focal length remains the same, the GR III has a redesigned lens in comparison to the GR II. The new lens will feature 6 elements in 4 groups (two of them are aspherical) rather than 7 elements in 5 groups and its minimum focus distance has been reduced to 6cm from 10cm in Macro mode. The aperture range of f/2.8 to f/16 remains unchanged. We’ll be interested to see what kind of improvements Ricoh has made to the lens since the previous version was already very sharp. Both cameras share a maximum shutter speed of 1/4000s and use a leaf shutter mechanism. The latter means that the fastest shutter speed is limited when shooting wide open at f2.8 (1/2000s max. on the GR II, 1/2500s on the GR III). Thankfully both have a built-in 2 stops ND filter that allows you to compensate for the leaf shutter limitations. Finally, Ricoh has designed a new GW-4 wide-angle adapter for the GR III (21mm equivalent), which means that the one for the GR II (GW-3) won’t be compatible on the new camera and vice versa. Another improvement that should positively affect the accuracy of the autofocus system is the new phase and contrast detection autofocus system of the GR III. Phase detection is the best type of autofocus system for fast-moving subjects, so if you aren’t keen on zone focusing or using the GR’s Snap focus mechanism (which is essentially zone focusing at a specific distance), this new AF system may be prove a good alternative for moving subjects on the street. Some of the AF assists have also changed. For example, the new model has Auto-area AF, Zone AF and Select AF whereas the older model has Multi AF and Spot AF. 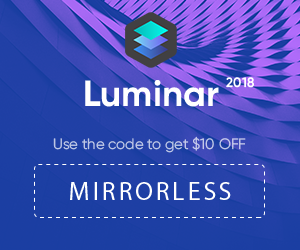 Both come with Pinpoint AF, Tracking, Continuous AF, Manual, Snap and Infinity. 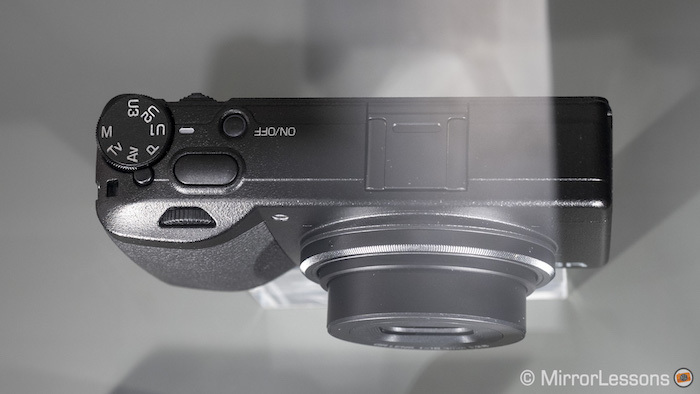 The new model features sensor-shift image stabilisation on three axes (Pitch, Yaw, Roll). The rating is 4Ev and should allow you to shoot hand-held even when the light conditions aren’t particularly favourable. The previous GR didn’t have any sort of built-in image stabilisation. It wasn’t a big issue for stills due to the fairly wide focal length but it was problematic for hand-held video recording. We expect that the addition of 3-axis stabilisation on the new camera will certainly help in this department. Neither have an anti-aliasing filter but the GR III can simulate one thanks to its sensor shift technology (similar to some Pentax DSLRs). 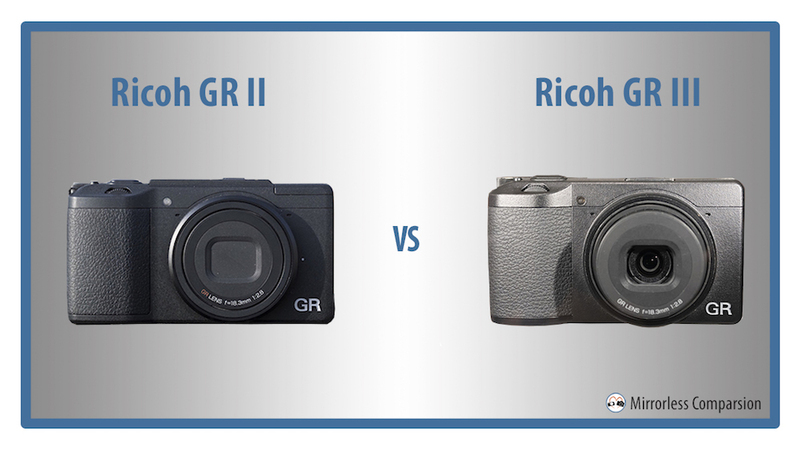 One of the physical differences between the GR II and GR III is the absence of a pop-up flash on the new model. DPReview believes that Ricoh did away with the flash on the GR III because it would have taken up too much space inside a body with a stabilised sensor. While the flash is gone, the hot shoe on top remains on the GR III. According to Digital Camera World, it will be compatible with Pentax TTL flashguns unlike that of the GR II. The GR III will be six grams heavier than the GR II however at around 257g (including the battery and memory card). In addition to having different dimensions, the GR III also sports a slightly different button and dial layout. For example, the movie shooting mode now has its own dedicated button (which can also be assigned to WiFi) and the TAv and auto modes have all disappeared from the mode dial to make room for three customisable settings. You’ll also notice that the AE/AFL/AF-C switch is gone, as is the +/- toggle. One new addition is the control dial around the four-way control pad. Apologies for the quality of the GR III image – we were shooting through a glass box that was surrounded by bright lights at Photokina 2018! There are a few important differences to point out between the screens of the two cameras. First is the fact that the GR III’s screen is touch sensitive. You can use it to navigate the menu and select a focus point. Second is the resolution, which is 1.23 million dots on the GR II compared to 1.03 million on the GR III. 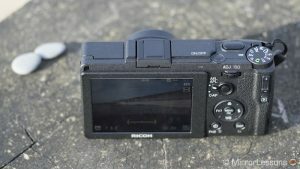 DPReview also states that the GR III’s screen features a glass panel whereas the GR II’s was covered in plastic. Finally we have the aspect ratio, which is 3:2 on the new camera rather than 4:3. Both panels are fixed which means you might have more difficulty seeing the image on-screen when composing at difficult angles. A very small difference concerns the maximum frame rate for Full HD 1080p recording. 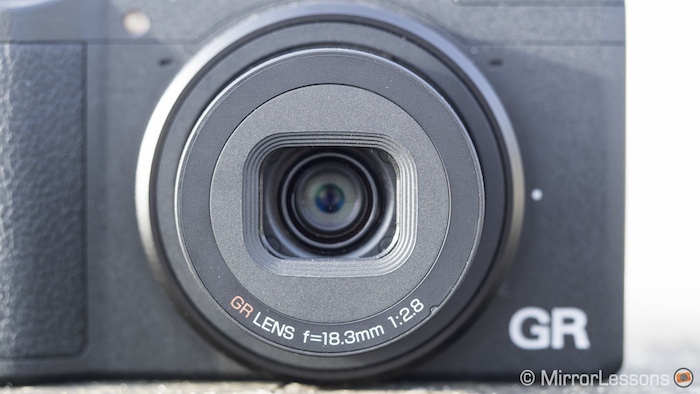 Whereas the GR III can go up to 60fps, the GR II is limited to 30fps. Neither can shoot in 4K. Despite the newly developed DB-110 lithium-ion battery, the GR III has a battery life rating of 200 shots (CIPA standard) which is lower than the 290 frames capabilities of the GR II. The implementation of sensor stabilisation is likely to be the cause of the lower endurance. Luckily, the new camera has a USB Type C port and can be powered with external power banks. When the GR II was first announced, it has a retail price of $799 which was later reduced to $699 three weeks later for an unspecified reason. The GR III is launched at a price of $900. Many of the changes brought to the Ricoh GR III aren’t all that surprising. 24MP APS-C sensors are now the standard, as are phase-detection autofocus, in-body stabilisation and touch sensitivity on the rear panel. 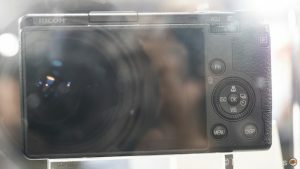 A few “basic” features are still missing such as a tilting screen and 4K video but the latter in particular probably won’t interest many potential users of this camera anyway. I am sure this camera will be a hit amongst newcomers to the brand, as well as those thinking of upgrading from the mark II model.